Let’s have some good clean racing fun with our awesome Bathtub Racers! 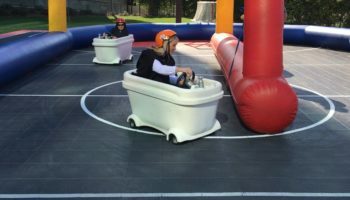 There are not many things more wacky and fun than driving around in a motorized bathtub! 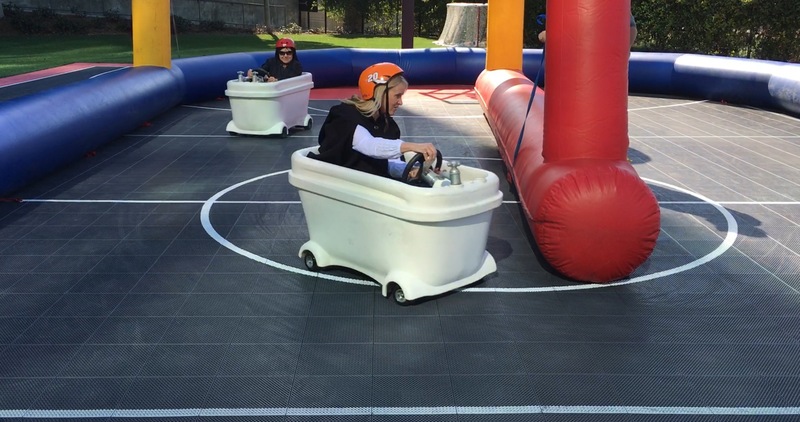 So why not give it a try and drive a few laps in one of our Bathtub Racers? Each one of our Bathtub Racers is powered by a small but powerful electric motor. That means they can get going pretty fast! You’ll be able to speed around in one of our bathtubs in no time. Each tub also has a steering wheel with an accelerator and reverse paddle. You use the bathtubs two at a time. One person gets in each of the bathtubs and they prepare to race. You can set up a track for the bathtubs using cones if you would like. 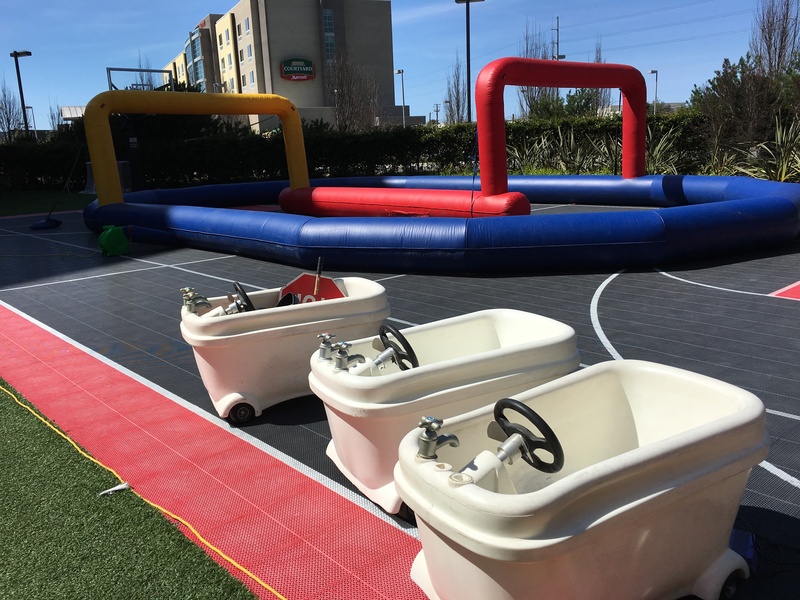 We can also set up an inflatable track for the bathtubs. Our inflatable track does a lot to keep the bathtubs in check because they cannot leave the track. Our Bathtub Racers work great on any hard surface. They can get going at top speed on anything from asphalt to a gym floor. We deliver our Bathtub Racers to anywhere in Monterey County, the greater San Jose area, the San Francisco Bay Area, or Northern California. Give us a call today to book the bathtubs today! Space Requirements: The bathtubs require a large flat area with a hard surface. They will not run on grass. 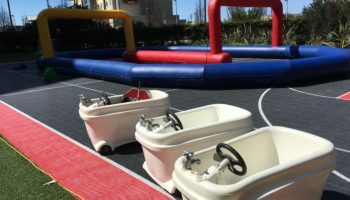 Power Requirements: If rented with the inflatable track, one standard power outlet is required.